Verizon executives just don't seem to get the message. Apparently they think that the people power we showed in solidarity for the 45,000 striking Verizon workers would go away simply because the workers are back at the table negotiating. In fact, Verizon management continues to insist on major 'concession' from the workers including the Company's ability to send unlimited union jobs overseas, reducing job security protections, raising the costs of health insurance, and eliminating paid holidays such our hero's day, Martin Luther King Jr. Day. 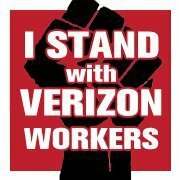 Its time, once again, we show the Verigreedy corporation- Verizon- that we are prepared to support these workers 'As Long As it Takes' for them to get the fair contract they surely deserve. Agree? Then let's hit the streets!! 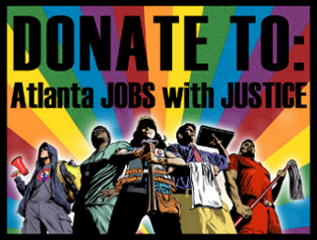 Join us for the CWA/JwJ National Day of Action in Solidarity. Next Thursday, 9/29/11 at these locations and times. Spread the word!! The Verizon Wireless store on Ponce is feeling the heat. They had two managers out patrolling around the store with security guards before we even arrived. Great visibility on Ponce! Top Verizon executives took home $258 million over the past 4 years yet the company is still trying to slash workers' benefits. Please don't shop at Verizon until they negotiate with the workers fairly. Stop Verizon greed. Great Action y'all!!! We had over 30 folks come out, handed out over 600 fliers and had great conversations with Verizon customers. We were eventually told to leave the private property of the shopping complex by APD so we moved out to the street and got great visibility on Ponce. Good communication throughout the action especially throughout the police intervention. Action to support the 45,000 Verizon workers fighting for a fair contract. Nationally coordinated community/labor action has pressured Verizon into negotiating with the 45,000 unionized workers but we must keep up the heat on Verizon until a fair contract is won. 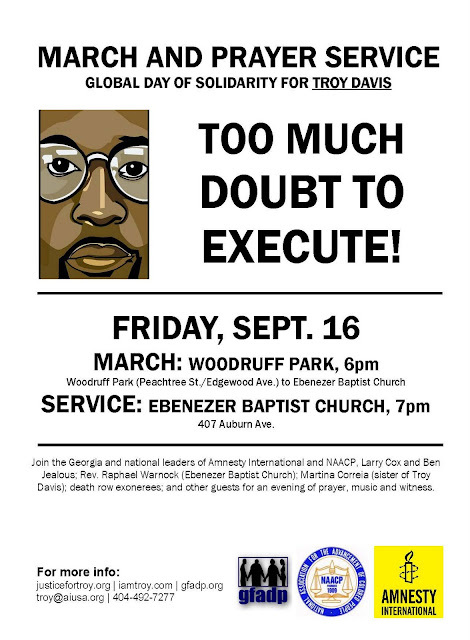 Please be punctual and ready to work together as a community. We will be raising awareness to hundreds of community members and Verizon shoppers about Verizon's attempts to hold down working families. This is how we take back our communities.